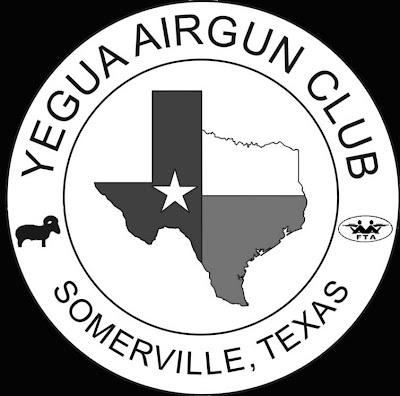 On March 11-13, 2011 the Yegua Airgun Club in Somerville, Texas will stage its seventh annual Republic of Texas Field-Target Round-up; also known as R.O.T., and widely considered the funnest airgun week-end in America! Boasting no less than SIX airgun competitions over three days (both state championship events and fun shoots), the week-end of airgunning, camaraderie and Texas chow has become a must-do highlight of the U.S. airgun calendar. State Champion titles will be contested in both rifle and pistol field-target competitions. The rifle event will be shot on two separate sixty-shot courses; competitors shooting one course on Saturday and the other on Sunday. Trophies will be awarded in PCP Class, International Class, Hunter Class and Springer Class based on the number of entrants in each class and aggregate scores recorded over the two days of rifle FT competition. The forty-two shot pistol field-target State Championship event awards for Scope-Pistol and Iron Sight classes will be based on the number of entrants in each class. Prizes will also be awarded in the non-championship fun matches to include air rifle and air pistol silhouette, a Daisy Red Ryder BB Gun Speed Shoot and a night-time pistol field-target Spotlight Shoot. Extra guns and ammo will be available at every event for anyone not properly equipped. All fun match entries are free. Entry fees for the championship events include excellent lunches to be served on-site both Saturday and Sunday, making R.O.T. not only the funnest airgunning week-end in the U.S., but also an excellent entertainment bargain. More details can be seen at www.yeguafieldtarget.com .